10 drills to improve free-throw percentage. Chuck Daly - use the free-throw line as an offensive weapon to increase scoring efficiency, foul trouble for the opponent, and make defensive transition less of a concern. Two balls, shooter, rebounder and passer at each basket, the shooter takes 100 shots (in about 7 minutes), using his normal routine for the first shot then with no dribbles after that, the passer holds a ball out on the shooting side. Keep track, e.g. go for personal best or team high score. See Shooting - Olympic, Alternates. 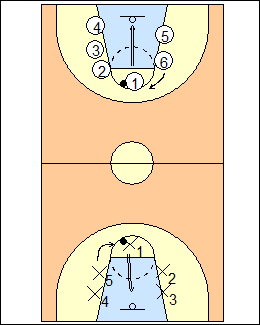 Use all available baskets, each player must make 10 in a row to finish practice, shoot until you make 10 (then you're done) or miss (rotate out until your next turn). Option - after 10 in a row, let players continue shooting until they miss, record personal bests. Rick Pitino - 8 for posts, 12 for perimeter players. - miss the last shot the second time you have a chance to hit three in a row. Unless you make 3 in a row, immediately do that day's physical conditioning exercise. See Shooting - Streak, 2 miss and out. 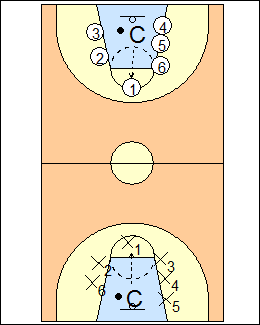 With two offensive rebounders in place, the shooter works on having a missed shot come off in a certain area in the lane, then a rebounder taps the ball out to another area. Option - add a player who moves to the back-tip area for a shot. 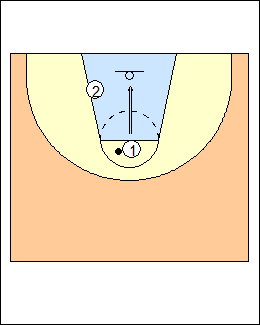 After shooting regular free throws, chart makes with eyes completely shut. See Free throws - Eyes open, eyes shut. 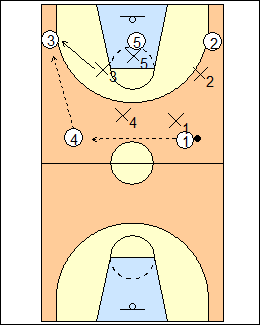 - king of the hill, rotate baskets for a given length of time, the two players at the championship basket shoot for the right not to run that day when the clock runs down. - daily pairs ladder e.g. 20 free throws each, rotate for next practice. 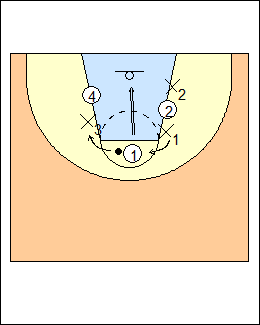 See Shooting - Villanova, King of the hill, Free throws - Lokar rotate baskets. 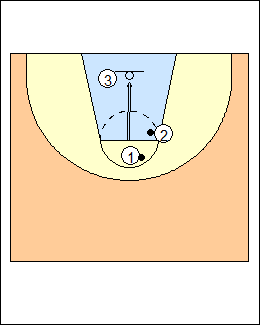 Two teams, one at each basket, fill the lane spaces, a coach or manager is the referee who puts the ball in play, each player shoots a 1-and-1, rotate, the shooter immediately does the daily conditioner if he misses either shot. Shoot for time or a certain number of makes or makes in a row. Two teams line up around the lane at a basket, alternate shooters, each player shoots a 1-and-1, first team to 21 wins, losers run. - change ends, each player shoots one, rotate. Shoot for time, the team with the most makes in a row wins, keep a record of the season high. See Free throws - Consecutive. Put different times (under 4 minutes) and scores on the scoreboard (and team fouls), work on fouling when behind and making free throws when leading. See Scrimmage - Pistons scrimmages.